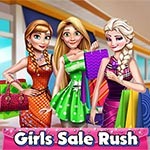 Dress-up is a game played mainly by children. It involves dressing up, usually to impersonate someone or something, like an animal or character in a fairy tale. The type of clothes they dress up in often resembles who they are trying to be, either adults clothing or special play clothes designed specifically for dress-up.